With an intercontinental band, singer-songwriter and multi-instrumentalist Ryan Lee Crosby blends essences of American folk-blues and North Indian raga into meditative songs of impermanence, compassion and joy. 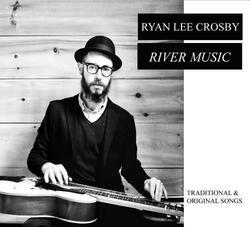 Crosby's music is a pleasing mix of improvised and composed material, performed on traditional and modern instruments. Through his recordings and performances, Crosby hopes to inspire peace, openness and respect - for tradition, for culture, for each other and for one's self.